MADISON BIKE BLOG: Why do Countries with Non-Existent Helmet Usage Have Lowest Rates of Bicycling Deaths? 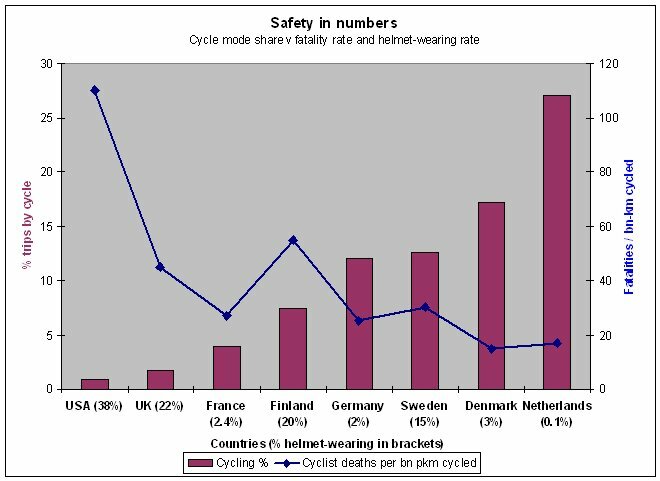 Why do Countries with Non-Existent Helmet Usage Have Lowest Rates of Bicycling Deaths? Drivers of cars are less likely to hit walkers and bicyclists if more people walk and ride bikes. 1. When more people walk or bicycle,the less likely any of them are to be injured by motorists. Traffic engineering and legal policies should focus on modifying motorist behavior not cyclist behavior. 2. 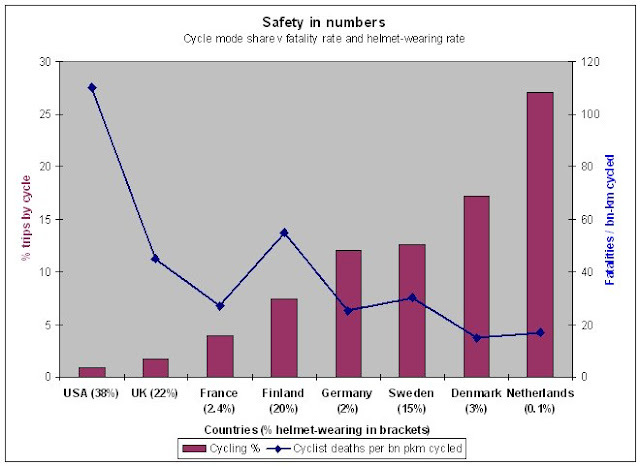 Countries with the lowest bicycle fatality rates also have the lowest helmet usage rates. According to one study, U.S. 38% of U.S. bicyclists wear helmets and the U.S. has by far the highest number of bicyclist deaths per km cycled. Interestingly, in the Netherlands, 0.1% of bicyclists wear helmets and bicyclists there have the lowest rate of death per km cycled. See below. Netherlands, Denmark, Finland, Sweden (EC, 1999); Germany (Pucher and Dijkstra, 2000); UK (Bryan-Brown and Christie, 2001); USA & France (Paris) (Osberg and Stiles, 1998). EU (CIT, 2001); France (Carre, 1995), USA (Pucher and Dijkstra, 2000). 3. People who bike with a helmet may ride faster and drivers give less space when passing helmeted cyclists. Drivers pass closer when overtaking cyclists wearing helmets than when overtaking bare-headed cyclists, increasing the risk of a collision, the research has found. He found that drivers were as much as twice as likely to get particularly close to the bicycle when he was wearing the helmet. The research has been accepted for publication in the journal Accident Analysis & Prevention. 4. 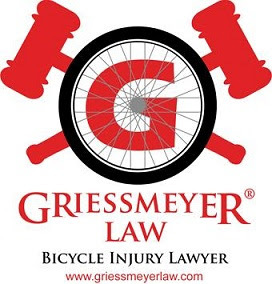 Bicycle helmets may increase chance of neck injury in a crash because they may catch or drag on concrete surfaces causing the head to decelerate at a faster rate than the rest of the body. Hodgson VR. Impact, skid and retention tests on a representative group of bicycle helmets to determine their head-neck protective characteristics. Detroit, MI: Wayne State University, Department of Neurosurgery, 1990. Riding on two wheels is one of the most exciting adventures of life to enjoy in. To do it properly you need to pay attention to safety and equipment. A best helmet can keep you safe from injuries.